For those who don't know, it's coming up to 8 years since the Pierate Ship first set sail on a mission to rate all the pies we could find. And sure, we've had some pies and lows over the years, but each and every time we've rated a pie it's been added to our official pie rankings page. 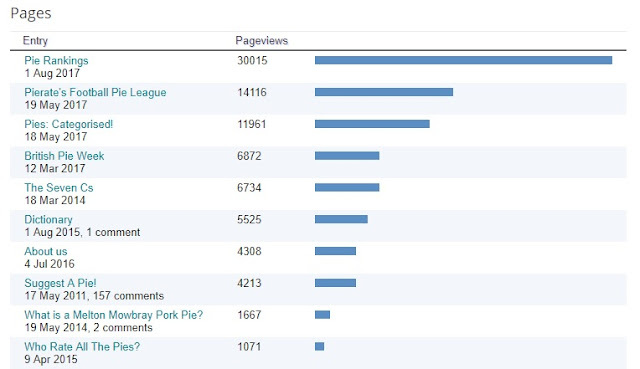 And now, with 626 pies rated and ranked, our Pierate Pie Rankings page has just reached a landmark 30,000 page views! Thank you pie fans!!! Over that time we've had a number of pies be our number 1, the most notable being Paul's Pies Steak and Guinness pie, which was our number one for over three and a half years. But when Paul hung up the oven gloves and stopped trading, in October 2016 we crowned our new number 1 pie! 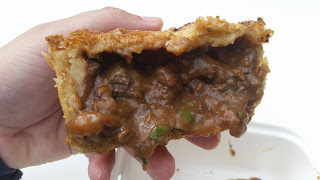 Since that date, for the last 10 months, our new number 1 pie has been MyPie's Steak and Ale pie! Check out the amazing review we gave it! But of course this top 10 is just the tip of the iceberg, with 616 other pies listed from best to worst on our Pierate Pie Rankings page! Check it out to find out where all the other pies we've rated rank in the list! And if you prefer to see the top pies in a variety of categories - such as best chicken or beef pie - see our Pies: Categorised page! However if you see a top pie missing in the rankings list, why not leave us a comment below or use our Suggest-A-Pie page to let us know where we still need to rate? 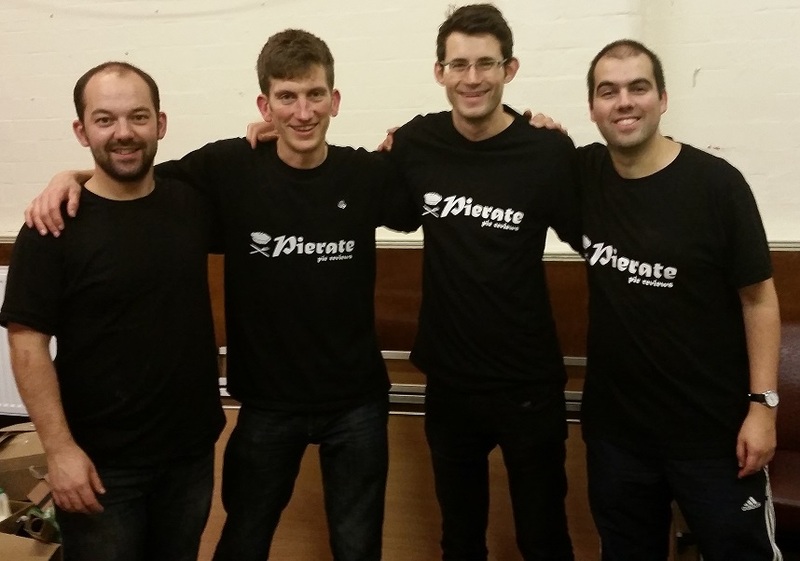 Alternatively you can drop us a suggestion on our @pierateers twitter page! Thanks to all those who have viewed our pie rankings page thus far and here's to the next 30,000 views of our ever growing Pierate Pie Rankings Page! The Pierateers with our number 1 pie maker - Chris! We bet you'll want to know the top football pies!